All eight were fined for their involvement. 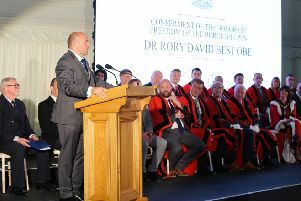 Chief Inspector Jon Burrows said the convictions follow “a very thorough, tenacious and effective” operation and “demonstrates the commitment of the PSNI to bring offenders to justice, tackle paramilitarism and uphold the rule of law”. He also gave thanks to everyone involved in the investigation.